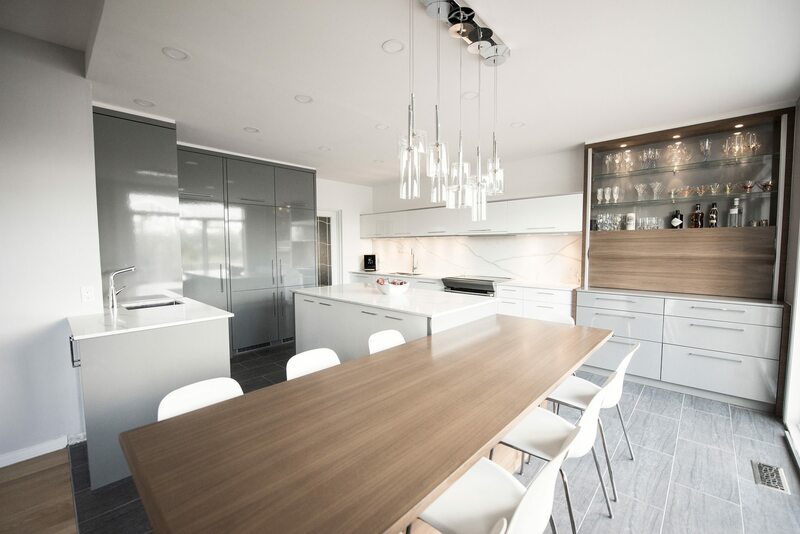 Whether it serves as a backdrop to custom millwork, connects different parts of a house, or simply unites stainless-steel appliances with their white surroundings, grey is a hard worker. Not one to steal the show, this powerhouse mutes counter edges and softens transition spaces. The fact that it plays well with the warmth of hardwood floors, drawing out the various shades to create a rich, dramatic mood, makes this neutral colour a leader in its own right. 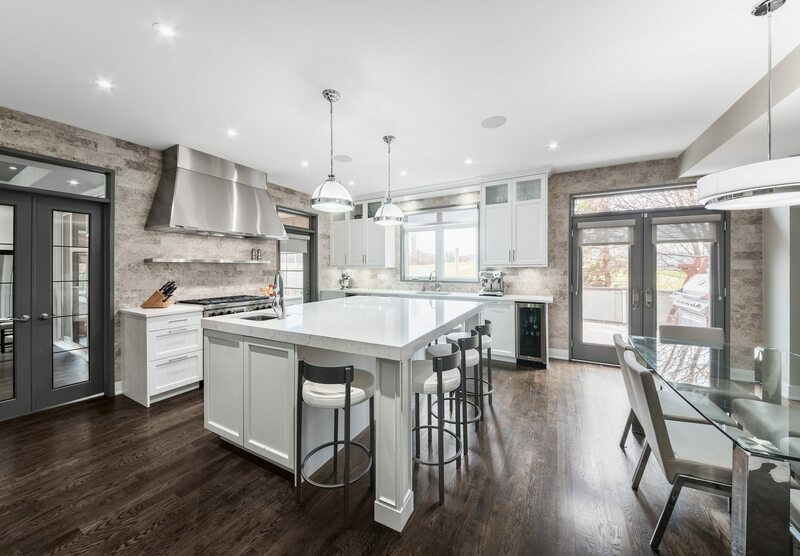 Grey accents were used in this kitchen by Design First Interiors to complement the doors and windows, which were painted to simulate metal frames. The appliances continue the theme, as does the hardware on the lights above the island and dining table. And, as Friedemann Weinhardt points out, grey always harmonizes well with the warmth of hardwood flooring. 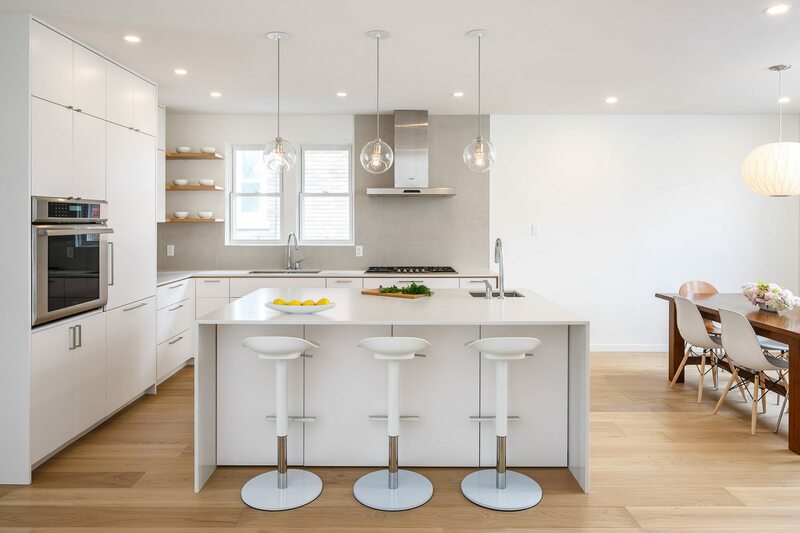 The glossy grey pantry and integrated refrigerators of this Potvin Kitchens and Cabinetry project serve as a backdrop to the stove wall, where a combination of grey and walnut adds warmth to the room. A thoroughly modern hutch — complete with a waved sliding panel that moves up and down to conceal some of the glass shelves — is the pièce de résistance of this beautifully updated space. Subtlety reigns in this kitchen renovation. Open to the dining and living rooms, the kitchen is not a focal point; rather, it was designed to maintain an atmosphere of openness and flow. Rick Shean of Christopher Simmonds Architect explains that the grey Ciot tile of the backsplash was also used in the hallway that runs to the back balcony, the continuity of colours and materials cleverly enhancing the space.